Better late than never... 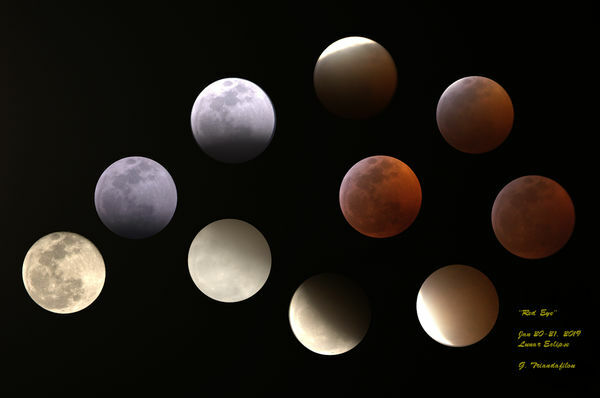 I just finished my first composite from the recent lunar eclipse. Thanks PixelStan77. I too shoot with a Nikon D800. I used the Tamron 150-600mm (older model) zoom lens at 600mm for the lunar eclipse. Thanks sodapop...I enjoy being creative. Thanks Earnest. I was curious how people would respond to my composition. Now you know, well done. Your extensive effort paid off; excellent collage!